Babblings of a Mommy: Hair Week: YUKO Repair Through Leave-In Conditioner. Hair Week: YUKO Repair Through Leave-In Conditioner. 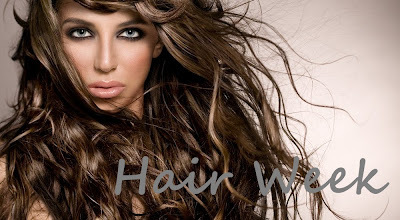 It's Hair Week on Babblings! Over the past few weeks I've been trying out all kinds of hair products for you lovelies. After testing them all out, and separating the good from the evil --I'm ready share the best of the best with you ladies! Some were given to me to review and others were bought by me, but either way you'll love 'em! First up--YUKO Repair Through. I must admit I had never heard of YUKO, but they were the original Japanese Hair Straightening company here in the US. They sent me over a bottle of their Repair Through Leave-In Conditioner to try out and I gotta say I love it! Deeply revitalizes, smoothens, and detangles the hair before styling, preventing split ends and breakage that can be caused by using blow dryer or flat iron. This leave-in conditioner is light and misty, has no odor, and leaves my hair so smooth! I've used it religiously for weeks now and firmly believe it's improved my hair. As most of you know my hair is dry and frizzy, but now it looks and feels so much more healthier! It contains Aqua-Gold which is a water-soluble ingredient that delivers nutrients into the hair faster, smoother, and more evenly. Use this spray after you towel dry your hair, and before you style. I promise you, you'll start seeing and feeling a difference. It is a little pricey at $24 and it can only be bought online or in a salon. If you're in the Orlando area they're a few salons that carry it here. If you're elsewhere you can use their salon finder to find the closest one to you. Overall I think that if you're tired of your dry/damaged hair and want to see results, I would recommend you try it and see if it works as great as it did on me.